Filled with the delightful storytelling of Bob Hartman, this collection of Bible stories is a treasure trove of memorable images, characters, and writing. For thousands of years, the stories in the Bible have been passed on from generation to generation. This popular retelling of many well-loved stories from the Old and New Testaments is ideal for sharing with children today. First to be read aloud and then read alone - The Lion Storyteller Bible will be treasured by children of all ages. 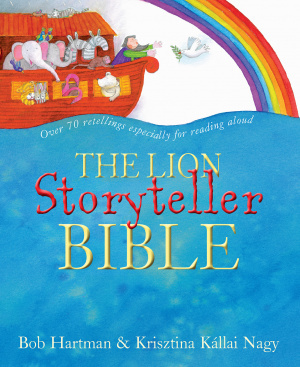 The Lion Storyteller Bible by Bob Hartman was published by Lion Hudson in August 2018 and is our 2361st best seller. The ISBN for The Lion Storyteller Bible is 9780745977829. Be the first to review The Lion Storyteller Bible! Got a question? No problem! Just click here to ask us about The Lion Storyteller Bible.